For sale is extremely rare Dubey & Schaldenbrand Isadora Guilloche. 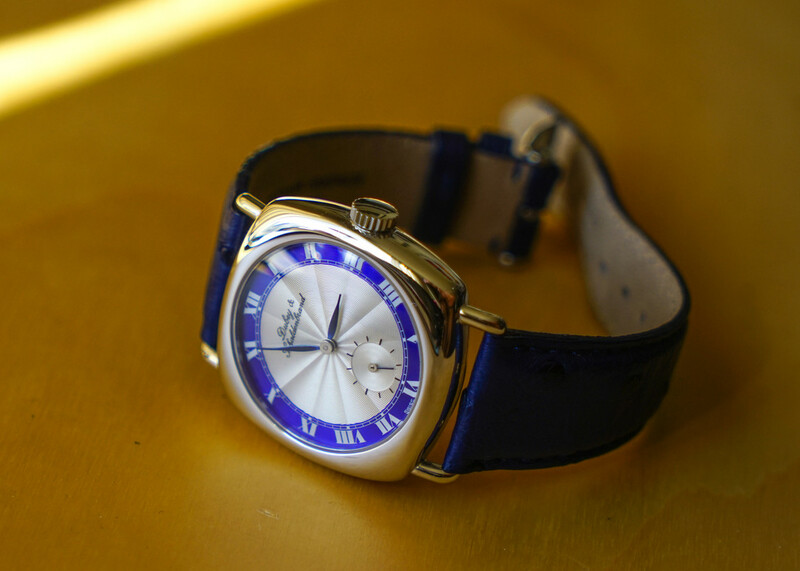 This watch was made by D&S back in 1998 as a limited edition of 100, which was split between the guilloche and the art deco print dial, so this version is actually an edition of just 50. The guilloche dial is one of the most beautiful I've seen on any watch. The carre-cambre (cushion) case is made of sterling silver with rhodium plating that gives it a rich shine as seen in the pictures. 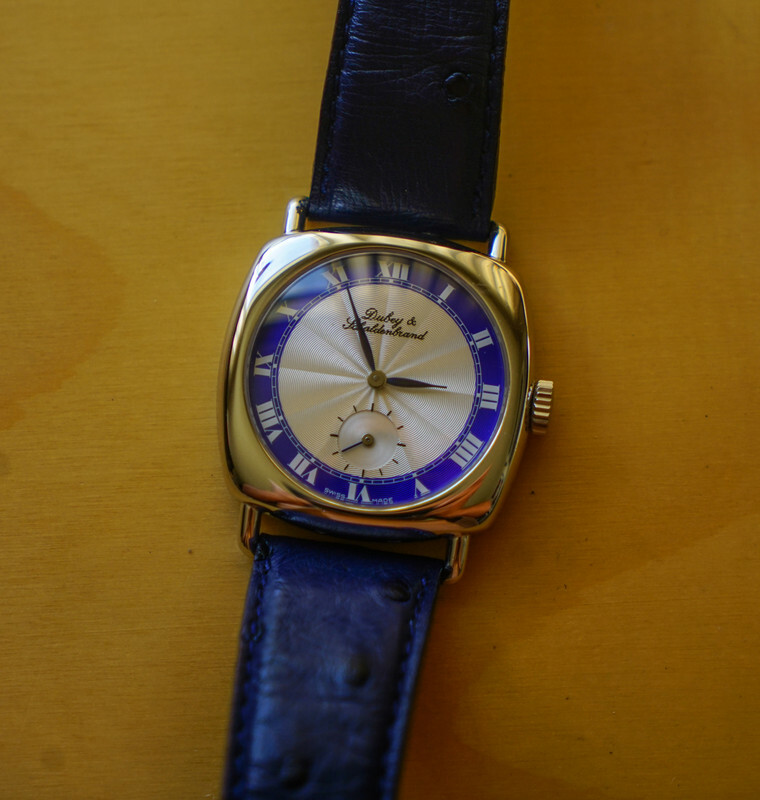 At 34mm, the watch can be worn equally comfortably on a male or a female wrist, but it does wear larger than its size. It's a truly stunning and a highly collectable piece. The movement is vintage NOS AS Schild hand-wound calibre from 1940s. 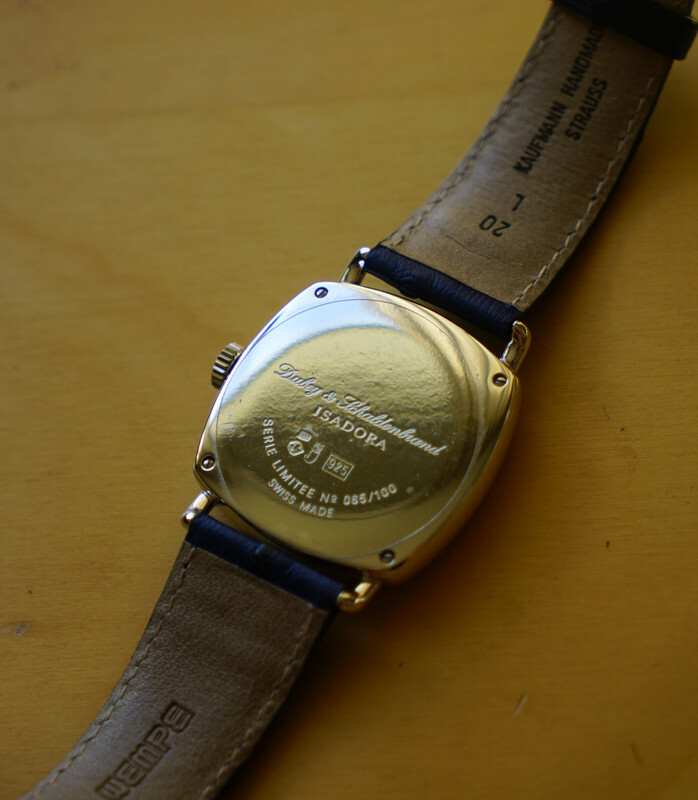 While the watch was rarely worn, the movement was would on a regular basis and keeps great time. The condition is TZ mint. 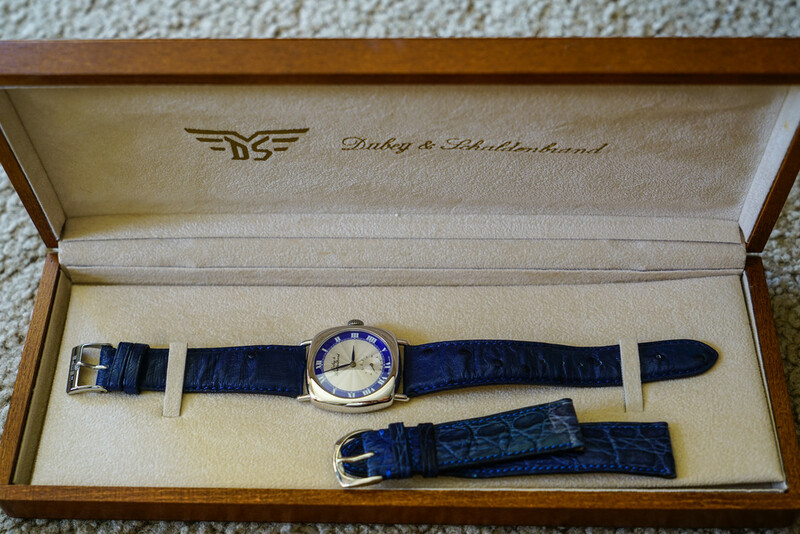 Comes with the original box, original blue croc strap with original buckle and the custom Wempe blue ostrich strap. $2800 OBO shipped within the US or face-to-face in SF Bay Area. Email with questions: hayzen11@yahoo.com.